In this age of increasing digital usage, a question many businesses have to answer is whether to keep the keys or switch to keycards. While cost can be part of the decision, the real debate lies in the question of whether access control is better for your business than good old fashioned locks and keys. If you’re not familiar with access control, it is used primarily to restrict entry to a building and/or access to certain areas within the building. It has become a very common for large companies to utilize access control protocols via keycards, but many small and medium size businesses are unsure about whether access control is worth it for them. Are there benefits to upgrading to an access system from traditional keys? The short answer is- it depends. size of business, inventory on hand, number of employees, amount of sensitive information kept at the business are all things to consider when deciding what method of security system works best. One large difference between access control and keys comes to light in a crisis: What happens when an employee loses a key or keycard? Changing the locks and issuing new keys is a huge hassle. Some businesses are willing to run the risk of not replacing locks, but many businesses have valuable equipment, sensitive documents and expensive merchandise at their office. They can’t take the risk of the lost key being found by someone who attempts to enter the premises. With a keycard, you just deactivate the keycard. If employee leaves and refuses to give card back, all that’s lost is several dollars for the keycard. Your business avoids a huge liability of having unaccounted for keys out in the public. Why would I want to restrict access? Many businesses have various levels of clearance within a facility. Personalized keycards give personalized access to maintain security and efficiency. 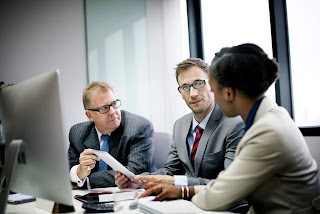 For example, HR employees access to employee file rooms, IT staff receives access to server rooms, and facilities staff access to electrical equipment and supplies. Having dozens of keys floating around for these different areas brings to mind the old fashioned ring of keys, which is unwieldy and can be quite risky. Keycards can also track who goes where. With traditional keys, there is no record of who has accessed what areas and when. Contradictory to the idea of the company “watching” all of their employees all the time, access control simply gives a record in the event of an issue. Does my business need access control? If you’re a business with lots of employees, or a large number of customers or non-employees coming and going on a daily business, keycards are a great way to control access to secure areas of your building. If you’re a small business with a couple employees who know each other, keys may be enough. How to Determine what type of security system is best for my business? The best way to start is with a free security audit with a qualified security system company. An expert can walk through your business and identify areas that require security, and can recommend the type of surveillance or security system best for you. To schedule a free security audit, please contact Quinlan Security Systems at 708-478-0707. 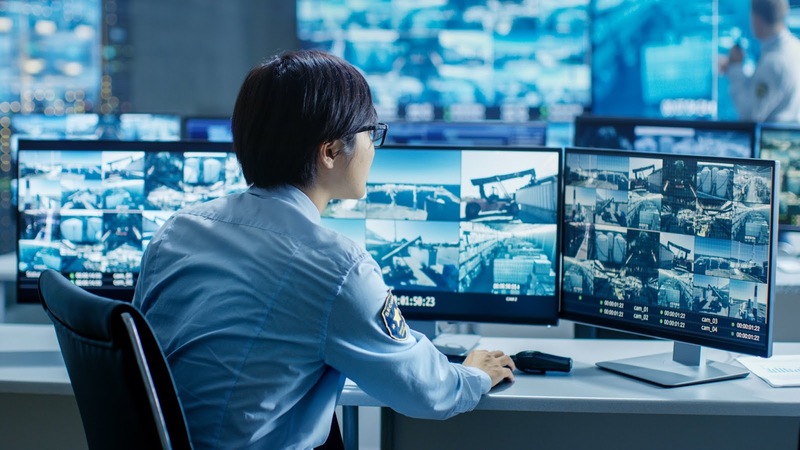 As security cameras have increased in technological capabilities, the number of potential threats to them has risen as well. Systems from cloud-based surveillance systems, traditional systems connected to the internet, and traditional systems attached to a local network are all vulnerable to cyber attacks. 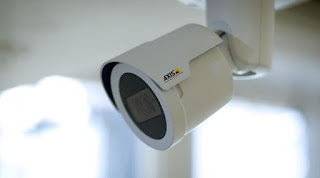 Here are 3 best practices for commercial security camera systems connected to the internet. Companies are requiring more remote access, control, and integration, as well as cloud-based systems due to perceived lower costs from cloud storage. All of these trends require internet access, and thus are more vulnerable to cyber attacks then traditional closed circuit camera systems. It’s critical that your security systems get the same level of attention, protection and security as traditional IT systems. Hackers concentrate on finding systems that are vulnerable or with poor security, which make easy targets for cyber attacks and encryption viruses. Your internal support staff should also stay up-to-date on cyber security trends and solutions for security systems in addition their IT infrastructure. While it’s understandable to create a password that’s easy to remember, also note that the easier the password, the more vulnerable your system is. There are programs that run password hacking software to find your password, and simple passwords are easy to crack. Creating passwords that contain upper and lower case, special symbols and numbers is a simple and powerful way to protect your systems. Also, establishing policies and procedures for changing passwords. For example, the root admin password should be changed every time an employee with password access leaves the organization or changes roles. One of the other issues that create vulnerabilities for security cameras and cloud-based security systems overall is staying up to date with operating system patches and updates. 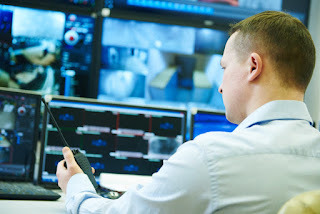 Your best practice is to make sure the computers used to with security cameras and security systems have regular servicing by the IT staff, and schedules in place for patching, modifications, upgrades and security protocols. If you’re looking for more information on commercial security cameras, or interested in a complimentary consultation with Quinlan Security Systems, please contact us at 708-478-0707.